Class 411 4-CEP units at Worplesdon in the rain. 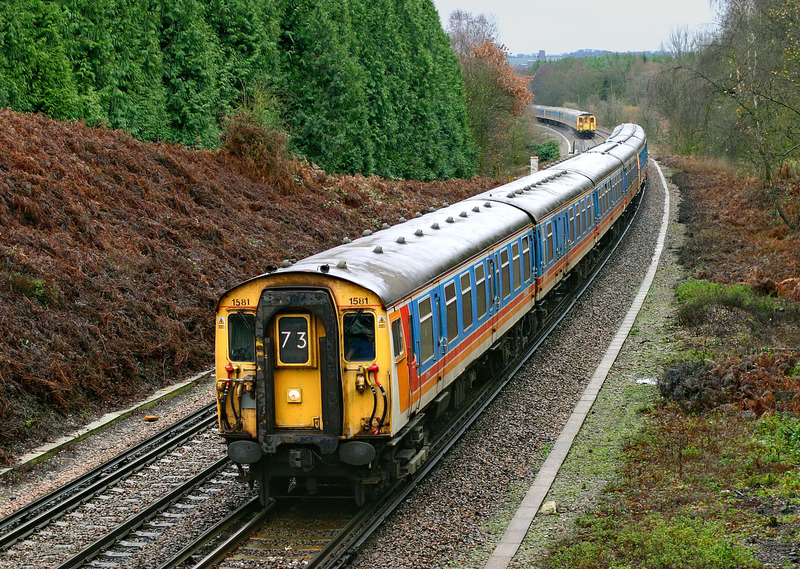 On 13 December 2003, South West Trains 1581 leads another classmate with the 10:57 Portsmouth Harbour to Waterloo service, while a 3 unit 12 car rake forming the 11:38 Waterloo to Portsmouth Harbour disappears into the distance. Worplesdon is situated between Guildford and Woking.